When Oprah Winfrey talks, it is news. The American talk show host known for her historic The Oprah Winfrey Show, has been one of the most influential media personalities and the richest African-American media person of the twentieth century. When Oprah wears Kashmiri Tilla work on a show, it is a statement. 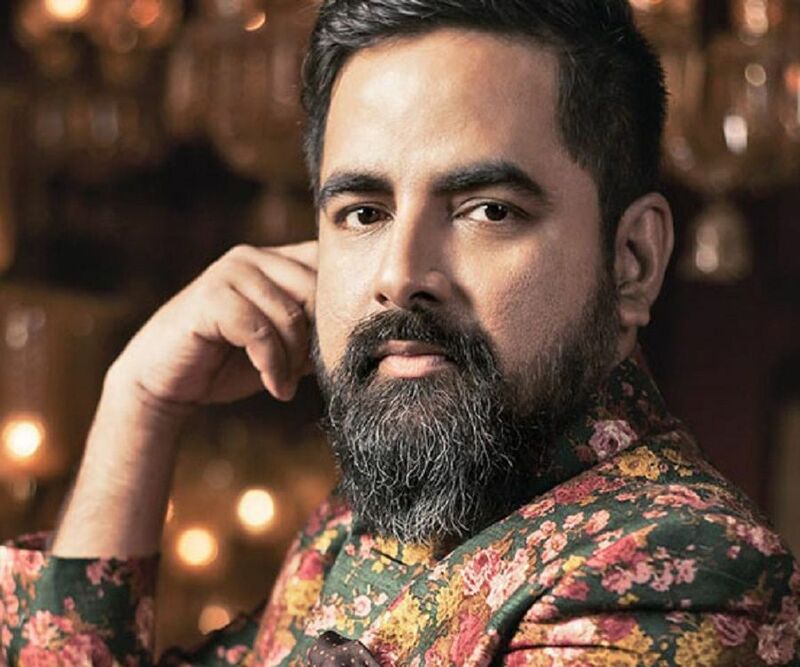 The Kashmiri Tilla craze got a new high after the most known anchor was seen in a black Tilla saree by ace fashion designer Sabyasachi Mukherjee. The picture of Oprah was shared on Monday by the fashion designer that was shot for the cover of leading fashion magazine of India-Elle magazine’s Indian edition of December 2018 edition. She was featured on the magazine’s 22nd anniversary cover. Oprah has complemented the sari with Zambian emerald and diamond earrings from Sabyasachi’s heritage jewellery collection. 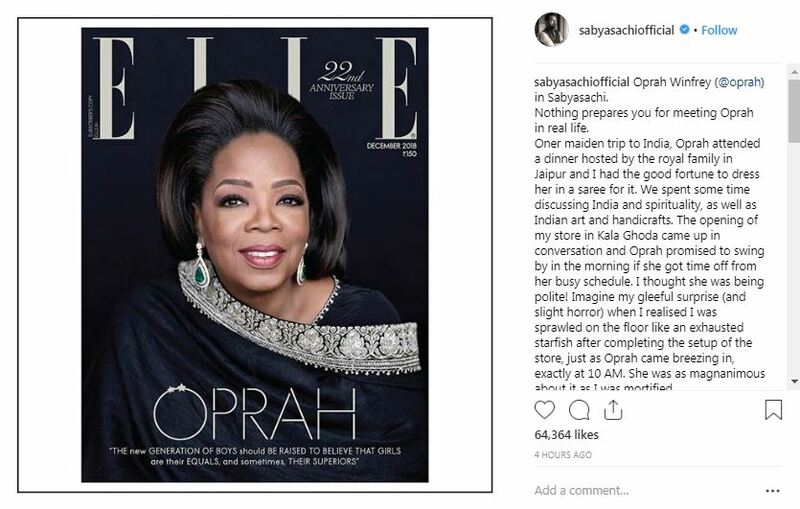 The picture of the cover was shared by Sabyasachi on his Instagram timeline, who also revealed details about his meeting with Oprah Winfrey on her first trip to India. She had visited India in 2012 and while attending a dinner hosted by the royal family in Jaipur, Oprah Winfrey had also worn a sari designed by Sabyasachi. Oprah Winfrey is an American media executive, actress, talk show host, television producer and philanthropist, best known for The Oprah Winfrey Show, which was the highest-rated television program of its kind in history and was nationally syndicated from 1986 to 2011 in Chicago, according to open source information. She was even dubbed as the Queen of All Media. 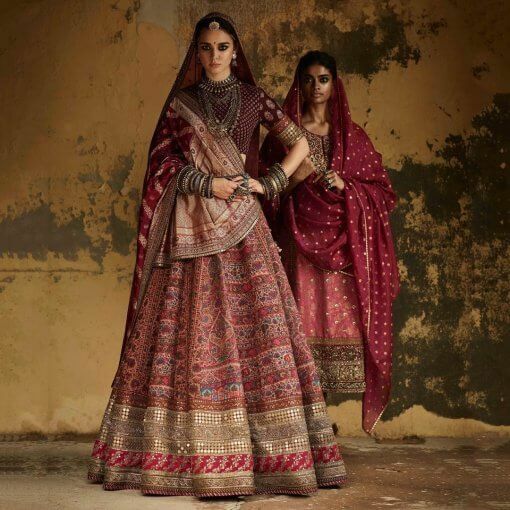 The Indian ace fashion designer Sabyasachi’s latest collection of bridal attire had Tillawork in his most of the dresses. His new collection Kesribai Pannalal was based the way Indian women dress but out of 25 different dresses, he had used Tilla work in at least seven dresses. His another collection for the winter brides on the theme The Curiosity, Art and Antiquity Project that included the Pashmina lehangas. The designer from Kolkata started his career in 1999 and is one of the Associate Designer Members of Fashion Design Council of India and the youngest board member of the National Museum of Indian Cinema. He has designed costumes for many Bollywood films. His bridal collections are one of the most sought for bridal trousseau and most of the actors have preferred to wear his collection on their marriages. Recently the Ambani’s daughter who is getting married soon, was also seen in Sabyasachi collection with huge Tilla embroidery on her lehanga. Since 2002, the designer has built a business with an annual turnover exceeding 100 Cr (USD 16M), and he credits his success to working closely and consistently at the grassroots level. According to an interview of the designer, he employs over 3000 craftsmen in 18 craft clusters in the regions of Kashmir, Uttar Pradesh, Rajasthan, Bihar, Andhra Pradesh, West Bengal, Madhya Pradesh and Tamil Nadu. But it was not immediately known who was the Kashmiri artist whose work adored the Oprah’s Saree.